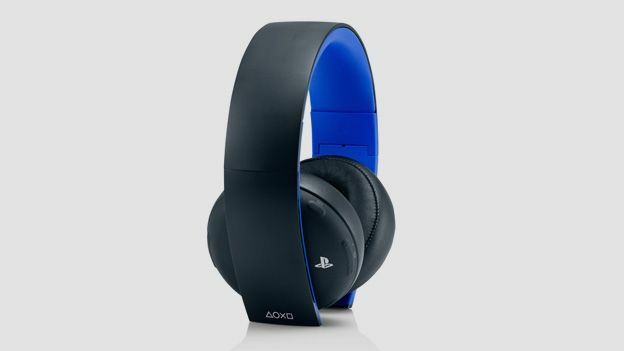 Is the Sony Wireless Stereo Headset 2.0 the definitive PS4 rig? One of the things we like about the Sony PS4 is that it supports most gaming headsets out of the box, unlike the Xbox One, which requires a special headset or an adaptor. Despite universal headset compatibility, Sony has still decided to release a model of its own in the form of the Wireless Stereo Headset 2.0. It features Sony's familiar black and blue styling, support for a custom PS4 app, and compatibility with PS3, PS Vita, PC, Mac, and anything else with a standard headphone port. There are already some excellent gaming headsets out there, from the Turtle Beach Ear Force PX4 to the Astro A50 and the SteelSeries H Wireless. But is Sony's Wireless Stereo Headset 2.0 the PS4 headset to rule them all? Like most Sony products, the Wireless Stereo Headset 2.0 is a wonderfully designed bit of kit. The matte black plastic headband closely matches the PS4 console itself (well, the bottom-half, anyway), while the blue padded headband corresponds to the machine's light strip when it's turned on. Like most wireless headsets, the Wireless Stereo Headset 2.0 has an abundance of buttons along the back of the unit, but they sit flush with the earcups, and are unlikely to be activated accidentally. You'll just have to remove the headset in order to change settings, at least until you learn the placement of everything from memory. The only other features of the headset are a micro-USB slot for charging - a good idea, as it's the same connector used to charge the DualShock 4 controller - and a standard 3.5mm headphone input for devices that don't support wireless. When we unboxed the Wireless Stereo Headset 2.0, we assumed it would connect to the PS4 via Bluetooth, but instead it comes with its own wireless USB dongle. This has benefits and drawbacks over Bluetooth - it means that the device can work across a variety of devices like PC and Mac. However, it also means that it takes up one the two USB slots on the PS4 console, so if you have a lot of USB devices, a hub might be in order. Setup on the PS4 is a breeze - simply plug in the USB adaptor, switch the headset to the '1' position, and within a few seconds you're good to go - no fiddly setup required. The PS4 system options allow you to route all PS4 audio to the headset, or just chat audio. A dedicated App on the PlayStation Store allows a further level of control. You can adjust bass and treble to create custom presets of your own, and then upload them to the headset via the included micro-USB cable. There are also presets for different genres of movies and music, as well as specific games such as Watch Dogs and InFamous Second Son. The app is basic, but the presets worked well overall, and it was a feature we ended up using when switching between games and media. However, it's pretty fiddly to keep switching presets all the time. The headet only holds one preset at a time (enabled by switching the headset to the '2' position), and you need to physically connect the headset each time you want to upload a new preset, rather than it happening over the wireless connection. If you want to use the headset with a PS Vita, the supplied 3.5mm cable connects the headset to the console, while an in-line remote allows you to adjust the volume and speak through the microphone. The same cable works with other portable devices such as phones, tablets and laptops. The Wireless Stereo Headset 2.0 is broadly similar to other wireless headsets when it comes to size. The large padded earcups move up and down inside the headband to adjust for different head sizes while maintaining a sleek unbroken style. Thankfully, the headband collapses on each side so that the headset can be folded and stored away with ease. Sony's headset features faux-leather padding around the ears, which is comfortable, but not quite as soft for long play sessions as the nylon meshes on the Turtle Beach Ear Force PX4, which are less prone to making your head sweat. The headphones don't go incredibly loud, but they do a good job of blocking out external sounds from the outside world without using active noise cancellation. The opposite is also true, however - people will be able to hear noise from the headphones when they're in the same room. Sony claims that the headset has an eight hour battery life - something which was delivered on, if only just, during our testing at average volume levels. Thankfully, charging the headset is fast at just over two hours, so you don't have to wait long before you're back in the action. Your perception of the Wireless Stereo Headset 2.0's sound quality will vary depending on the headset you're currently using. Compared to the Mono Headset that comes bundled with the PS4 console, these are a big upgrade, particularly when it comes to voice chat clarity. That said, the microphone on the Wireless Stereo Headset 2.0 is far less clear than on other gaming headsets we've used, even at this price. The overall audio quality for movies, music and games is what we would describe as 'entry level' when compared to other gaming headsets. The main problem is that bass isn't anywhere near as punchy as we'd like, even when adjusted in the PS4 app. Overall sound quality is by no means bad, but if you're used to a good-quality headset, you'll notice the performance gap on the Wireless Stereo Headset 2.0. You don't have to spend much more to get much better sound quality, either. The Turtle Beach PX4 headset performs much better, and while its RRP is £149, it's readily available for £89.99 - just £10 more than Sony's Wireless Stereo Headset 2.0. If you really want to push the boat out for your PlayStation gaming, go for the Astro A50 at around £190, or the SteelSeries Wireless H at around £229, both of which work with PS4, are wireless, and offer the very best audio quality and features. Wireless range on the Wireless Stereo Headset 2.0 is good - we were able to move two floors away from the wireless dongle before the audio started to cut out. It's not as far as we were able to go with the Turtle Beach Ear Force PX4, but it's good enough for gaming and listening to music in another room of the house. The headset supports virtual 7.1 surround sound, which is toggled using the 'VSS' (virtual surround sound) button on the headphones. The system works well, allowing you to pick up fine details such as a grenade landing behind you in Battlefield 4, or characters talking to you from different directions in The Last of Us. However, the system only works on PS3 and PS4, not on PC or Mac, which is a bit of a shame, and something else that's rectified by the rival headsets mentioned above. Sony's Wireless Stereo Headset 2.0 has a lot going for it for its modest price - it works with most devices, is easy to setup and delivers decent wireless surround sound. In this respect, it's an easy recommendation for the PS4 owner who primarily uses a headset for gaming, as it delivers nearly everything you need at a very competitive price. However, it does fall down in some key regards, such as audio quality on both the speakers and the mic and a lack of surround sound features on non-Sony devices. Given the importance of such features to most people, our suggestion would be to check out the Turtle Beach Ear Force PX4 instead.